All adult staff, artists and volunteers working directly with youth should have a criminal history and child abuse background check completed and on file in your chorus office. Each state and province has different forms for this process and the cost is approximately $70. Ask your local school what they use as a guide. In addition, many organizations also include fingerprint-based FBI criminal background checks to cover people moving from state to state. State welfare departments collect these fingerprints and the cost for clearance is generally under $50. Your chorus should pay for background checks for their staff, regular volunteers and artists that work directly with youth. Clearances should be renewed every two years. Important: meet with an attorney to insure that your youth and your organization are protected. 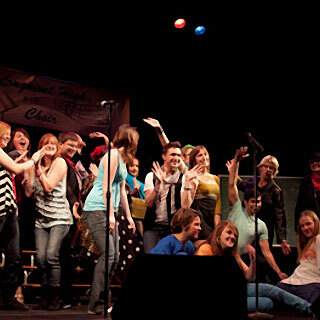 See One Voice Mixed Chorus (Minnesota’s LGBT and allies chorus) in action as they perform with youth in schools. Need some great songs for your chorus? Spend some time on the Artistic Director Repertoire page for links, lists and recommendations.